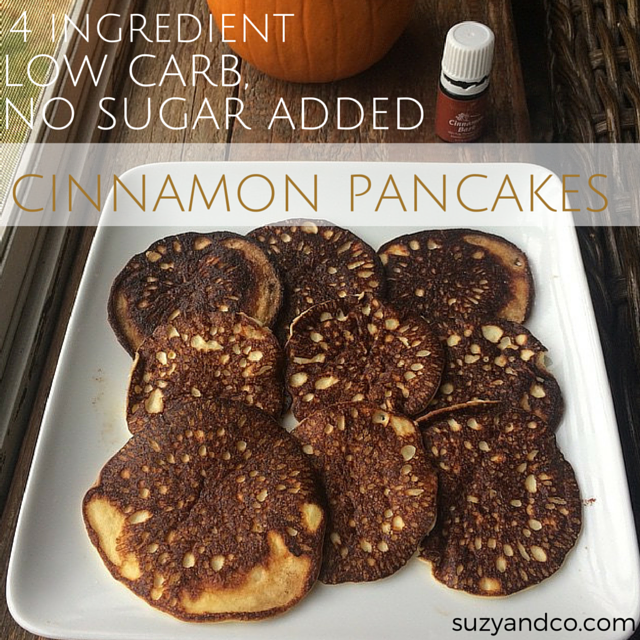 This is a very simple, 4 ingredient pancake recipe. It is healthy and yummy! Heat a skillet over med-low heat. Add a pat of butter or cooking spray. Place all ingredients in a blender and blend or use an immersion blender. Once skillet is hot, pour ~2 tbsp batter onto skillet. Heat for about a minute, until you see the edges start to brown and bubbles forming on top. Flip and heat other side for 30 seconds - 1 minute.